The Two Kingdoms Theology: The New Antinomianism? Lee asks: Alright Matt, I would like you to respond to this summary by VanDrunen. “I like to describe the two kingdoms doctrine briefly as the conviction that God through his Son rules the whole world, but rules it in two distinct ways. As creator and sustainer, God rules the natural order and the ordinary institutions and structures of human society, and does so through his common grace, for purposes of preserving the ongoing life of this world. As redeemer, God also rules an eschatological kingdom that is already manifest in the life and ministry of the church, and he rules this kingdom through saving grace as he calls a special people to himself through the proclamation of the Scriptures. As Christians, we participate in both kingdoms but should not confuse the purposes of one with those of the other. As a Reformed theologian devoted to a rich covenant theology, I think it helpful to see these two kingdoms in the light of the biblical covenants. In the covenant with Noah after the flood, God promised to preserve the natural order and human society (not to redeem them! ), and this included all human beings and all living creatures. But God also established special, redemptive covenant relationships with Abraham, with Israel through Moses, and now with the church under the new covenant. We Christians participate in both the Noahic and new covenants (remember that the covenant with Noah was put in place for as long as the earth endures), and through them in this twofold rule of God—or, God’s two kingdoms. If their only point was about the proper role of the institutional church, I would agree with them. The church should not be involved in pushing particular political candidates or bills. The church can and must speak about moral issues that might and will have political implications, but that’s a different thing. Also, if their point is that the state or commerce is not the means by which the kingdom of God will be inaugurated, I agree with that as well. What he says in his second paragraph, about not “redeeming” structures and institutions, is exactly right, and I appreciate what they have added to the debate. As redeemer, God also rules an eschatological kingdom that is already manifest in the life and ministry of the church, and he rules this kingdom through saving grace as he calls a special people to himself through the proclamation of the Scriptures. No mention in the previous quote about the Scriptures’ relevance to common cultural institutions; that would not have jumped out at me had I not read VanDrunen’s book, and seen how these truths are applied. The force of this is essentially to deny the relevance of the Scriptures to our common cultural activity. Our common cultural activity is ruled by God’s common grace and natural revelation only; the Scriptures are limited to Jesus’ function as the redeemer. This leads to a tremendous downgrading of the value of common cultural activity; I do not think that the 2K doctrine does in fact safeguard against a retreat from the world as VanDrunen hopes it will; I think it virtually guarantees such a retreat. The logical conclusion is that if work only has the purpose of maintaining the current state of affairs (which is evil), then I will engage in as little of it as I can get by with, since the current state of affairs does not materially depend on me. Much of the Bible is rendered nonsensical by the 2K doctrine. The Proverbs for example talk constantly of our work, of our use of money, of our relationship with civil rulers and how those civil rulers ought to behave. This is presented as the “wisdom” of God. What role does any of this wisdom have to play in the life of a redeemed believer, if the 2K theology is correct? Just a helpful supplement to natural theology at best, but is it “redemptive” in any sense? Why should we study the Proverbs? Why study the second half of Ephesians, in which Paul exhorts us to experience our salvation in areas of work, of family, of civil life? Paul says in Ephesians 5:14 that Christ has given us light, that this is the very nature of our salvation, and then tells us how to live in that light in the world. He tells us how to live as families, for example, a common cultural institution. He tells us to emulate Christ (as the Messiah) in those areas. How does the 2K account for this? Paul appeals to Philemon to treat Onesimus as a Christian brother, and to consider Philemon’s own redemption from slavery to sin by Christ in the way that he treats Onesimus. He calls Philemon to recognize Onesimus as a brother in the Lord, and reminds Onesimus that he owes his own life to Paul, since Paul witnessed to him of the gospel, and therefore to treat Onesimus well. Wouldn’t this be confusing the 2 Kingdoms? Would slavery have ever ended in the Roman Empire if the church had believed what VanDrunen is teaching? Paul didn’t appeal to natural theology in advocating for good treatment of Philemon’s slave. He appealed to the gospel. I mentioned Proverbs earlier- Proverbs which is said to be the “wisdom” of God. In chapter 8, Wisdom is personified. I do not believe it is a figure of speech- I think the second person of the Trinity is being described in chapter 8, since all of the things said there about wisdom are also said about Christ. Christ is the Wisdom of God, and came to us to reveal that wisdom- not the wisdom that the world could ever have, but the wisdom that comes only in faith in Christ (1 Corinthians 1). The natural man does not have this wisdom. And what is the result of this wisdom? Better financial management, better government, better marriages, better business relationships, etc. The history of the Christian world bears out that this is what actually happens when people are converted to Christ. It seems to me that the book of Philemon, all the application sections of the New Testament, the book of Proverbs, and any other place in the Bible where the Christian is invited to take his understanding of the gospel out into the world and live it out is a clear refutation of the 2K theology. Natural theology only shows us enough to condemn us. Special revelation shows the truth about everything- not just about how we are forgiven. Before Christ came the world lived in darkness and the world would be in darkness today. That darkness is extensive into all areas- not just our understanding of what happens when we die, but everything. When Christ comes, He brings light, and the Bible constantly calls us to live in the light of Christ’s redemptive work in every area of our life. It was the application of Biblical principles (not natural theology- they had that already before Christ came) that ended slavery, that ended tyranny, that promoted science, free market economics, and a thousand other benefits, as a result of Christians NOT thinking like VanDrunen, and thank God for that. VanDrunen is living off the capital of centuries of Christians that came before him that rejected the dichotomy that he is proposing. We never would have gotten out of the monasteries. Jesus was the second Adam. We are being conformed to His image. Jesus certainly did fulfill the creation mandate given to Adam. But what then? What am I being conformed to? Jesus as a second Adam rules over creation, just like the first Adam was supposed to, and we are clearly said to share in that rule. What is the nature of that rule? The Bible points us in a number of places to the continuation of productive activity in the eternal state, a productive activity which is joyful because it is free of sin. 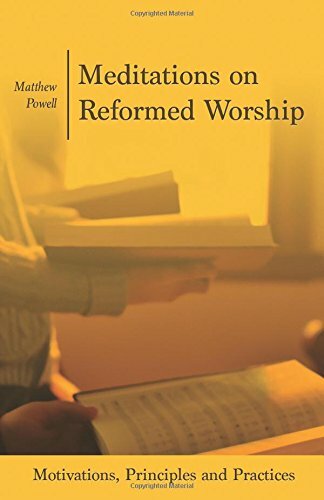 Lots more could be said, and perhaps I will say it- the connection of this to Redemptive-Historical preaching, the rejection of exemplary preaching, the mistaken understanding of the law-gospel distinction, the wrong view of the significance of the Sabbath. All taken together I think that if cultural transformationalism is the new legalism, then 2K theology is the new antinomianism. It’s just another way of saying that God doesn’t really care very much how we live our lives. And I know VanDrunen would never say that. But it’s the logical conclusion of his theology, and I know of a lot of people who are carrying it out to that logical conclusion. If natural revelation dictates how I should work, then I should simply conform to the practices of the world in the workplace, and likewise in entertainment, politics, family, education, etc, since as VanDrunen says (in “Living in God’s Two Kingdoms”), there is no such thing as a “Christian” approach to these areas of my life. I have taken a while to write back because there is so much to say to what you wrote. It may take several comments. I finally decided to start with this: you are a 2K guy. If you believe that the structures of society are not being redeemed and that they do not bring in the Kingdom of God or participate in that, then you are not a Transformationalist. And unless you are a withdraw from culture guy that leaves 2K as your option. If you want to be a Transformationalist then I hope you will be voting Constitution Party this year because they are the only party that includes Jesus Christ in their platform. Since I know you are not going to do that from previous discussions, you are already operating on 2K thinking. I just have to get you to see it. Next, I think you are wrong about 2K and Scripture. Those guys are clear that Scripture applies to the Christian always and in every area of life. He is not allowed to do things not for the glory of God. It is not that the Scriptures say nothing about economics, it is just that they don't teach a full view of economics. The Christian is always bound to follow such things like just weights, no usury, and the other things we find throughout the bible, but that does not teach us Free Market Economics for example as you mentioned. If the Scriptures are really teaching Capitalism then was the colonial mercantilism system sinful? Is America's current "mixed" economy sinful? Those are questions that are all yes if the Scriptures positively teach Capitalism. Now if Capitalism is just the result of people living out other Biblical principles, then it is a different story, and that is a 2K position. Also, I don't think this debate is about whether or not the culture is transformed. It is about how the culture is transformed. Is cultural transformation a goal of the gospel, or is it a by-product of the gospel? Is the culture transformed by distinctly Christian institutions or is it transformed by the church preaching the gospel and people responding to it? These are the questions at hand. Charlamagne was a Transformationalist. He did transform the culture of Saxony by putting to death those rebel rousing pagans. He was a distinctly Christian emperor going about a program of instituting Christianity. Is that Biblically legitimate? Is Charlamagne the second greatest person to ever walk the earth (which I heard in seminary from a professor who shall remain nameless)? That is the question of 2K or Transformationalism. And for the record, I don't think Transformationalism is the new legalism. I think it is a perfectly confessional way to go about things (when not taken to extremes). It is just not what I see right now when I read the Scripture. Finally, I think Scripture is not non-sensical in 2K. I think 2K applies Scripture to all of life. Take your example of Philemon. Paul argues against slavery by arguing about Christ, forgiveness, and love. The gospel ends slavery by changing hearts like it did for Onesimus. Very 2K. Abolitionists took the Transformationalist position and Lincoln ended slavery with an appeal to the bayonet. Thousands died, but slavery ended. Proverbs too speaks about all of life, but does so by talking about spiritual principles. Sloth, pride, submission, gossip, lying, and such things. Proverbs is by no means a guide to economic investing in today's stock market. I believe that Proverbs is written in a style that is to reflect the Christian's day. Maybe he starts off fighting against sloth, but then he is awake and his tongue is sinning, and then he has to submit to his boss, or is tempted by a seductive lady. Then he is back to sinning with his tongue, and tempted by pride. It is not organized to teach a view of econ, but rather a view of life filled with temptation and sin. Yes, sometimes living a Christian redeemed life according to the gospel gives us earthly blessings and advantages. If the Christian is not slothful, he will be able to work. If the Christian is not prideful, he can get good advice from others. So on and so forth. I agree with your concern of Redemptive Historical Preaching, so yeah, but Theonomy is clearly related to Transformationalism. I would be interested in what you think the law-gospel problem is. I don't think the Sabbath problem is related to 2K. Lots of Transformationalists make it too, unless we are thinking of different things. I don't think Natural Law rules the Christians life. He must be governed by Scripture in all areas. It is just that Scripture does not make some judgments like homeschool or christian school or public. That is not governed by Natural law, but is an area that is simply governed by liberty.